All practice sets, including full-length practice and adaptive practice, can be downloaded as a PDF for easy printing. 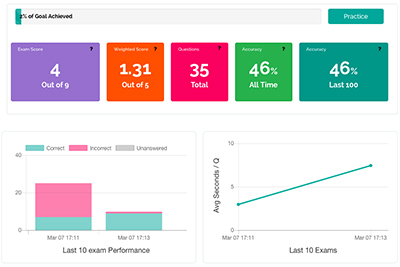 Piqosity also boasts 1000’s of practice questions, which can automatically adapt to a student’s weaknesses. 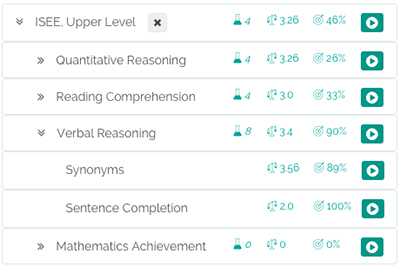 Piqosity automatically determines a student’s strengths and weaknesses down to the sub-topic level in real-time. 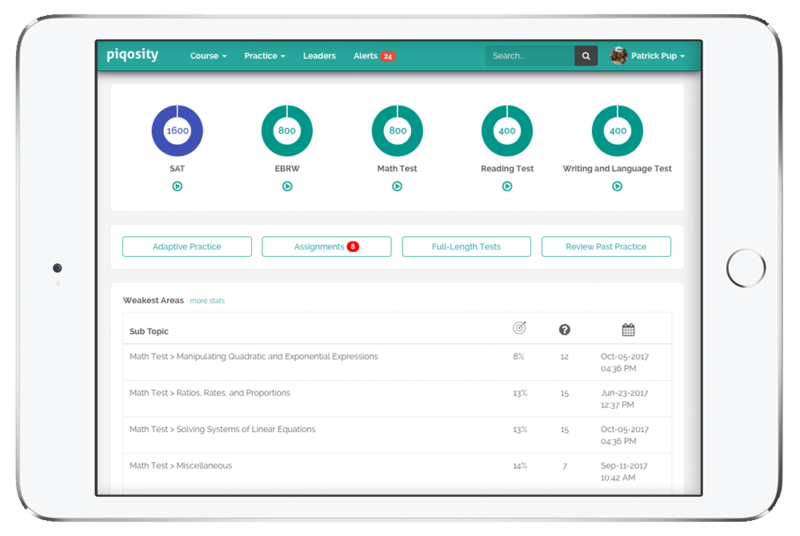 Piqosity estimates a student’s test-day scores (overall and sub-tests) in real time with each practice set. Every SAT practice test question contains at least 1 answer explanation, and students can request additional ones from our experts. Students can select their timing preferences including standard, time-and-a-half, and double time.. The SAT is the second most popular admissions tests for applying to college in the United States. Administered by College Board (the same people behind Advanced Placement), the test comes in two varieties – with or without the Essay. 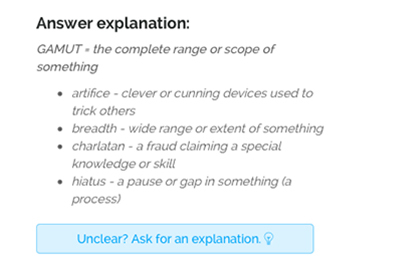 With the Essay, the SAT is a 5-part, 3-hours and 50 minutes exam. Without the Essay, the SAT is a 4-part, 3-hours exam. What if I need paper tests? 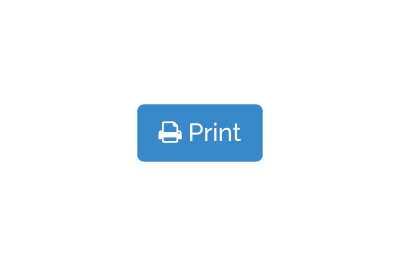 Every practice set on Piqosity, including adaptive questions and full-length mock tests, can be downloaded as a PDF file for easy printing. No, Piqosity does not provide tutorial services. However, we may be able to suggest ISEE tutors in your area upon request. We are an education technology company that partners with educators and publishers. If you’re a tutor, click here to learn how to partner with us. I’m an educator or publisher; can I publish with Piqosity? Yes! We are actively looking for educators and publishers to contribute to our platform. Please contact us for more information. Our content is partly written in-house and partly by third party publishers including tutors and teachers. Our in-house team has more than 15 years of experience helping thousands of students achieve their potential in Houston (where we’re based) and around the world. We and our partners write content in accordance with our experience and the specifications set forth by the test makers (i.e. ACT, College Board, and ERB). To avoid mismanaging expectations, our material is meant to be challenging while still matching the tested topics and question types. We are a Houston-based education technology startup seeking to provide quality, personalized, and affordable learning solutions to everyone. Our team has more than 15 years of tutoring and test prep experience since we first tutored our first student out of a Rice University dorm room in 2003. Click here to learn more about our company. 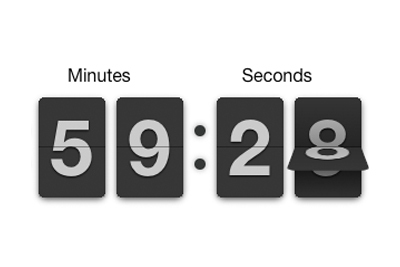 Your credit card will only be charged the one-time with no recurring charges. All paid plans are currently valid for 365 days from the date of activation. Yes, all plans include a 7-day risk free trial; your credit card will not be charged until this trial period has concluded. You can also look at the individual questions here. 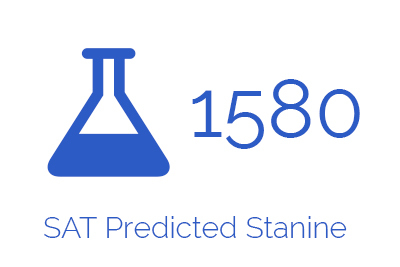 Please note that SAT® is a registered trademark of College Board, which does not endorse this product.